You get to see my face again in this post and just in case you become sick of it, it's okay because I can assure you that my next post you won't have to xP I like to alternate when I can! 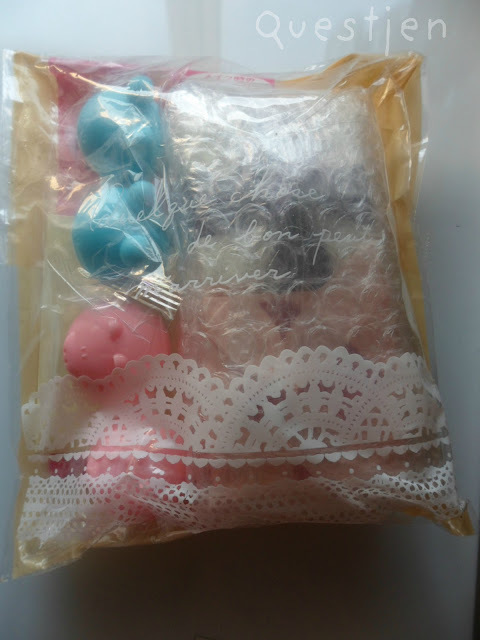 Shoppingholics is an online store based in Malaysia that is mainly focused on selling circle lenses from various brands but also sell makeup products, hair and fashion accessories from popular Asian brands such as Dolly Wink. Their layout is extremely neat and organised for customer to browse and shop with ease. Definitely an online shop for all the shopping-holics out there (see what I did there? Haha). I chose grey and blue :D I was glad that Shoppingholics gave me the opportunity to choose any lenses from their shop to review. I decided on the Nudy range from Geo because I love the effect they give on dark eyes (I've previously owned brown, pink, violet) and I've been so curious to see how these colours would look on my eyes ^_^"
In case you were wondering what that glittery stuff is on my lashes, it's not glue - it's already on the band! Melody sent these lashes to me last year for my 18th birthday and I finally had the chance to try them out :) What do you think of them? The perfect grey and opacity I say! I also love the pattern, the grainy-ness to it makes my eyes stand out. I've seen many Asian girls in person wearing nudy lenses and I'm not surprised - they are gorgeous and give pretty good enlargement. They give a 'halo' effect for those who have small irises. It's really hard to explain but if you Google it you'll know what I mean! I am not lying when I say that these are really comfortable! 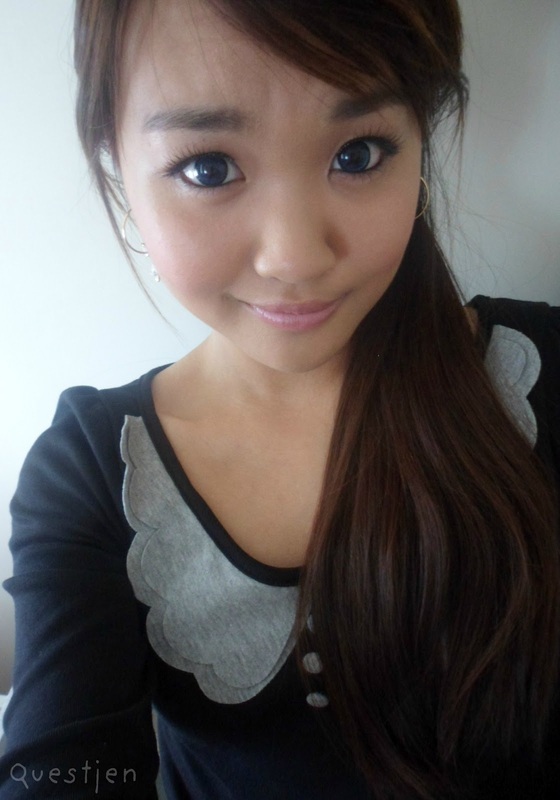 The first nudy lenses I had from Geo were the browns which I had.... two years ago ._. Anyway, I remember those being not thaaaat comfortable and slipped around in my eyes quite a lot. It may have been a dud pair but my friend (Cathy if you're reading, I remember you telling me this!) also experienced a pair of nudy lenses being 'slippery' in her eyes, even after wearing them for a while so it had nothing to do with the lenses being to wet or anything. Not that I think that that makes a huge difference... does it? But yeah, I had no problems with these :) I didn't test wearing these for like 6 hours because my eyes probably wouldn't be able to handle it (I don't wear lenses often and I have pretty sensitive eyes so I only wear lenses for a few hours, even when I lubricate them with eye drops). I reckon these would be very suitable for gyaru makeup! I was a little lazy and didn't try with gyaru makeup so I just popped these in after I was done trialling the nudy greys. It's such a deep blue like dark denim ^.^ They may be really dark for my naturally dark brown eyes but the colour still manages to show up, again due to its opacity. When you have dark eyes like me, you definitely can't go wrong with nudy lenses, they'll always be noticeable no matter which colour you choose. As mentioned before, I like the grainy pattern. I wonder if it's possible for nudy lenses to be two or three-toned. Are you sick of seeing me wear the same shirt for each picture xD ? I used to think that the larger the diameter of the lenses are, the less comfortable they'd be to wear. It could still be true or apply to some lenses however all of the lenses that I've tried that were more than 14.5 mm were all comfortable! Including these which felt just like 14mm lenses. The only thing is that they might be more drying due to the large diameter but that can be resolved with eye drops. These didn't slip around in my eyes at all. And thanks Shoppingholics for these lenses! I'm not affiliated in anyway with them so the links don't provide me with any monetary compensation, neither did this review. 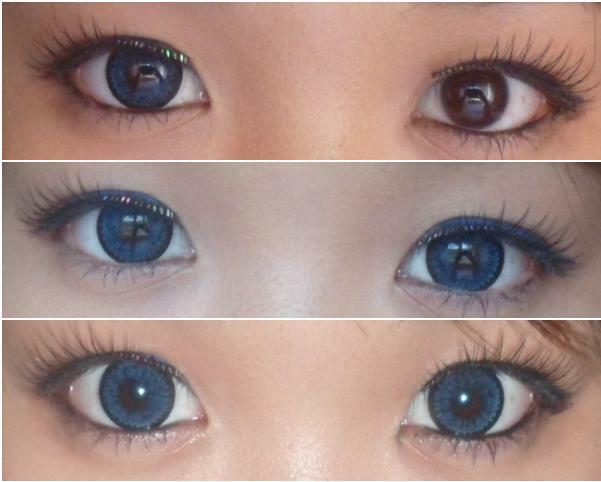 Your thoughts on circle lenses with a 14.8mm diameter? Too large? Ridiculous size? Or is it the diameter that you prefer the most? 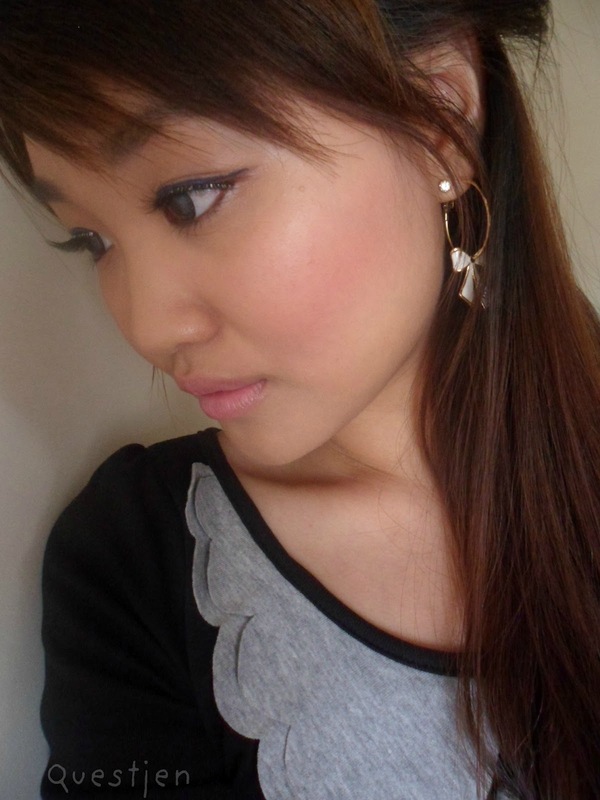 I think for a big cercle lense, requires a well marked black makeup. But it's not too big, and you will great with blue circle lense, they are my favorite on you! Woahh you cutie you! : D the lenses look super nice! 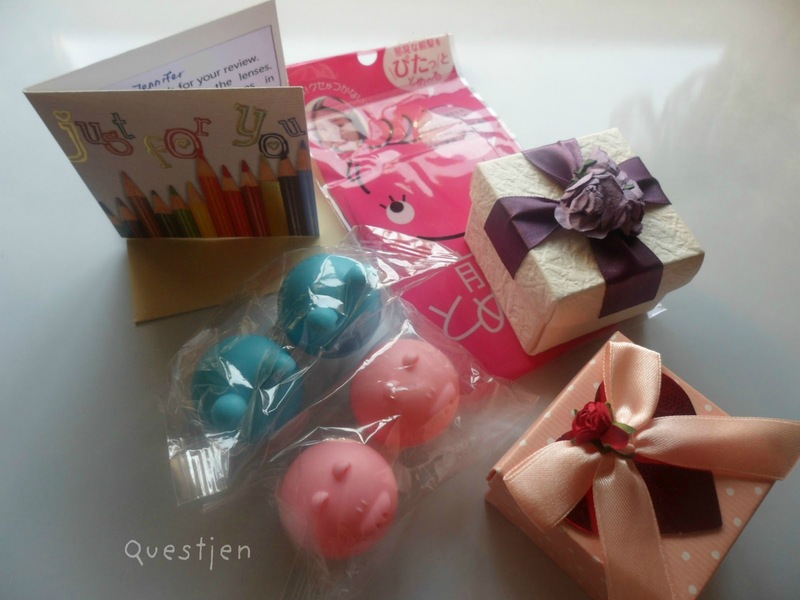 You surely do have big eyes (as seen in your pic/s), lucky girl! Aw thanks Sara, so are you for sure!! hmmmmm diameter is not that big! well not for me...coz my eyes are already kinda big, the lenses kind fill in my eyes a bit better if you get what i mean..? xD plus makes my makeup look softer and cuter in a way .___. 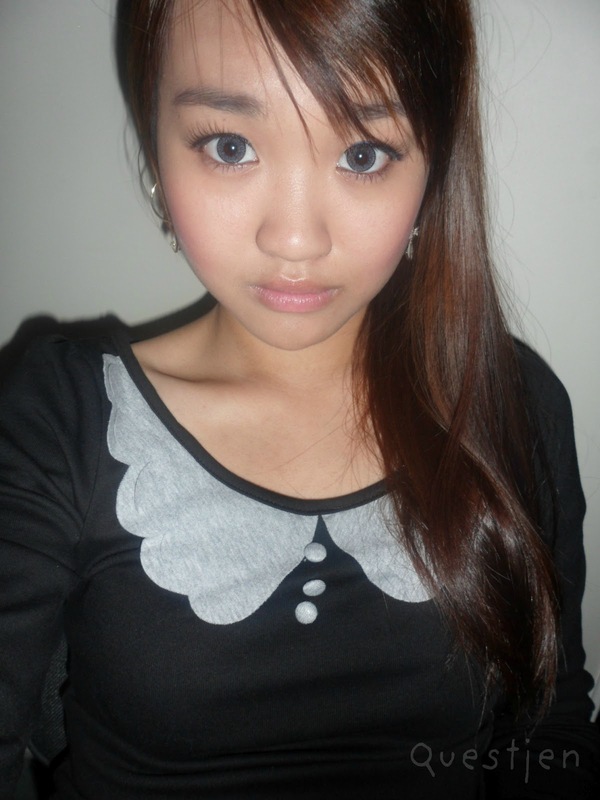 coz without circle lenses my eyes look too fierce! Thanks Fern! I'd love to see how nudys look on you though :o Unless you have posted a pic on your blog of you wearing them before...? I think 14.8 are a little too big! I've worn ..once before and it's quite unnecessary I think. I like 14 - 14.5 much more in terms of enlargement effects *___*! But yes, Y U GOTTA LOOK SO GORGEOUS FOR :( ? You look stunning! The lenses look fantastic on you! I wish I had the courage to wear lenses often but I've tried a grey and brown pair in the past - both of which were way too unnatural for my liking and I honestly did not recognise myself in the mirror. But I suppose after a while you'd get used to them, but yeah. These really look lovely on you! 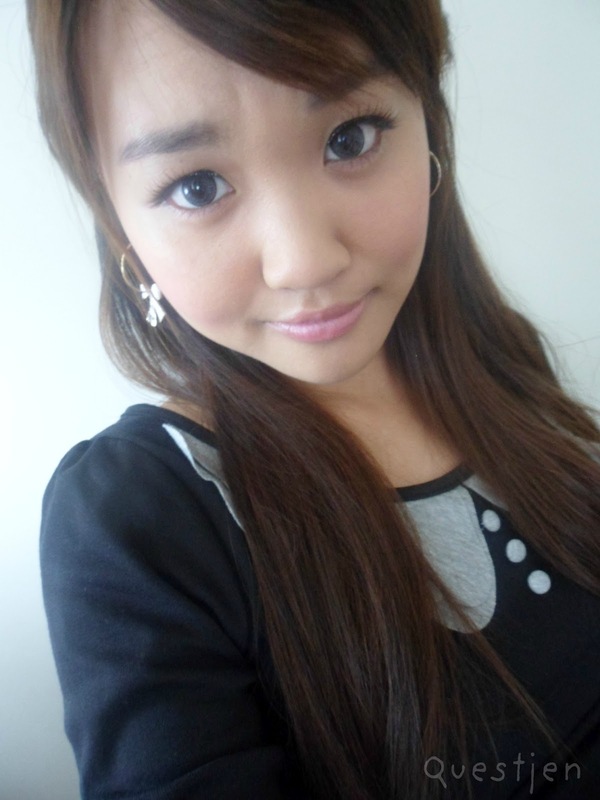 I hope to get myself a pair of circle lens soon ~~!